Coronary bypass surgery is the most common cardiac operation performed today. As balloon angioplasty and stenting have proved an effective treatment of coronary artery disease, the number of coronary bypass operations has decreased. Yet studies have shown that in certain groups of patients, such as diabetics or those with triple-vessel disease, coronary bypass surgery remains the preferred mode of revascularization. Coronary artery disease causes the hardening and narrowing of arteries that supply blood and oxygen to the heart. Bypass surgery reroutes the blood, using a vein segment from your leg or chest or wrist artery. The surgeon attaches it to the coronary artery, before and after the blocked area. In coronary bypass grafting, arterial conduits (arteries) have a better longevity than veins. Their usage leads to extended survival without additional interventions. Compared to our peer hospitals, Hartford Hospital has a significantly higher rate of arterial grafts. Our surgeons aim to employ at least two arterial conduits in the bypass operation. Arterial conduits most often used: the left internal thoracic artery, the right internal thoracic artery and the radial arteries in the forearms. Use of the internal thoracic artery – formerly known as the internal mammary artery -- in surgical revascularization is largely responsible for the superiority of surgery over stenting. The artery, which supplies blood to the anterior chest wall and breasts, remains open much longer than it does with a saphenous vein bypass or a stent. 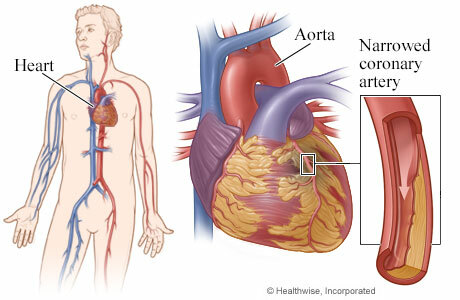 The left internal thoracic artery is used in more than 90 percent of patients. The right internal thoracic artery provides the same advantages and would add to the benefits of surgery if used more frequently. The limited use of the right thoracic artery comes from the difficulties of this right-sided conduit in reaching the coronary vessels located in the left chest. Dr. Sabet W. Hashim, chairman of cardiac surgery and co-physician-in-chief of the Hartford HealthCare Heart & Vascular Institute, developed a technique using the “free” right thoracic artery (detached from its origin and re-hooked to the aorta) that allows for the use of this bypass in many situations. Dr. Hashim has presented his work on the use of both thoracic arteries in coronary bypass surgery to the American Heart Association (2012, Los Angeles, Calif.). Younger patients derive the greatest benefit from this innovative technique, as it prevents the need for re-operation or re-intervention later in life. In the Journal of Cardiac Surgery (2014), Dr. Hashim detailed the surgical modifications required to achieve maximum opening of the right thoracic graft.